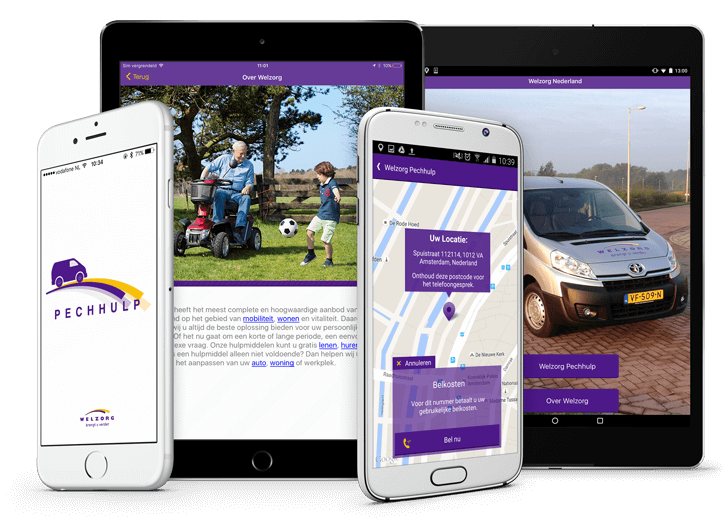 Welzorg Breakdown assistance app is develped specially for clients of Welzorg Nederland. 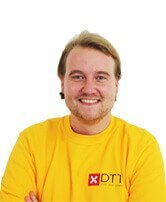 With this app clients can easily contact the nearest customer service and get help in case of a breakdown. The app determines the users exact location and shows it on the map with the help of GPS. This information is important for the helpdesk to quickly help the client. 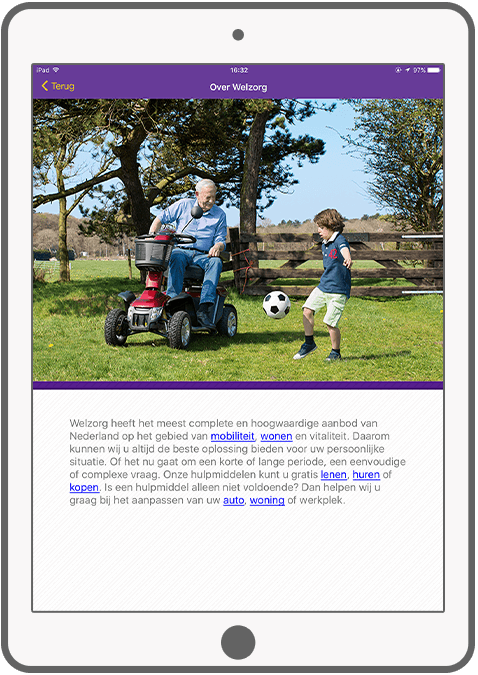 To call the nearest customer service of Welzorg Nederland, all you have to do is click on the call button at the bottom of the app. Visit the Welzorg website for more information. 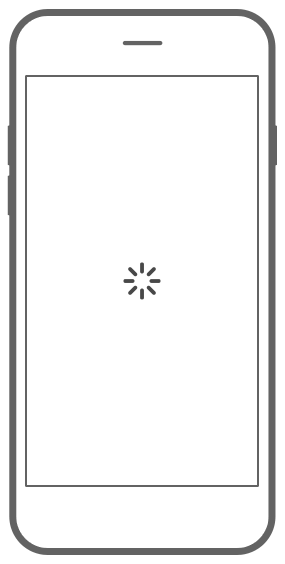 This image of the bus is well known for Welzorg users. The app automatically determines the current location, including the address and shows it on the map. 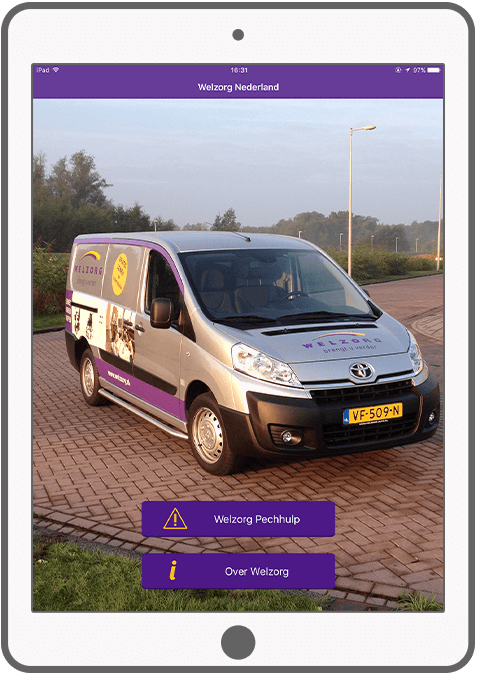 With the "Call Welzorg Now" button users of the app can directly contact the customer service of the Welzorg roadside assistance.